Includes everything from a browser-inspired crop circle to a billionaire sheikh's massive ego trip. Google Maps is one of the most popular services offered by the search giant. It's very useful for finding locations and planning road trips. In addition to that, it allows you to explore the entire world, right from your armchair. Hard to believe, but many people spend hours playing around with Maps and its standalone variant, Google Earth. 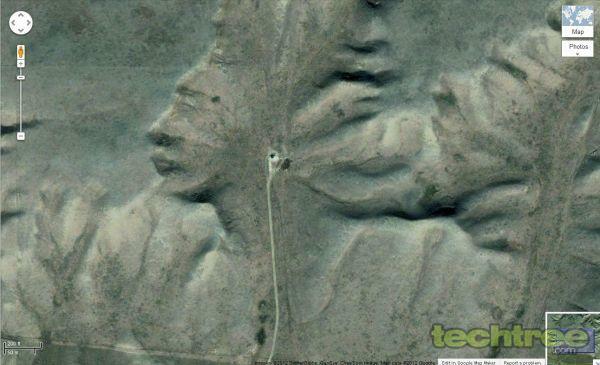 Out of them, a few eagle-eyed users have found weird things across our planet. Here's a list of the most interesting structures among them all. Here's a 220-feet diameter crop circle, found near Portland, Oregon. 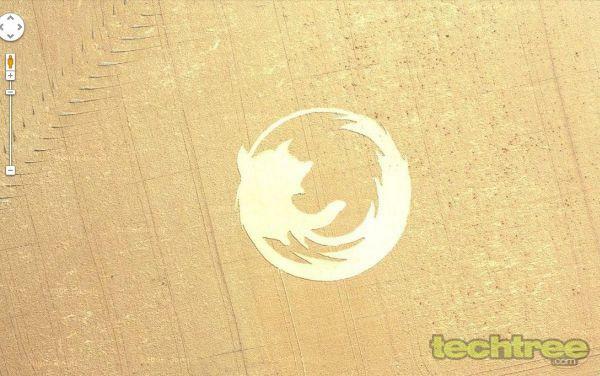 It has been created by local Firefox fans, mainly students. The project was planned in under two weeks, and took almost a day to finish. Sadly for the aliens, these guys didn't provide any download instructions to try out the browser. 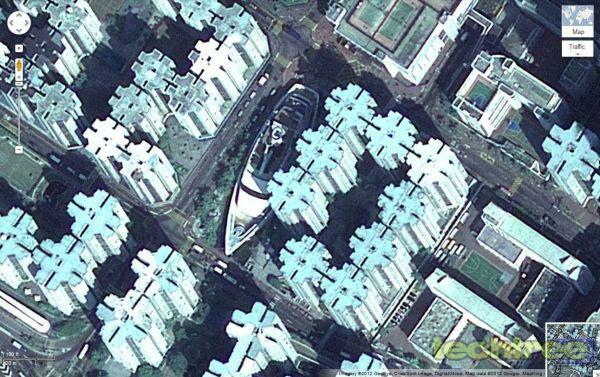 Although it looks similar to post Tsunami-satellite imagery, this huge ship in the middle of a populated landscape, is actually a shopping mall. It features four docks for restaurants and cinema halls. It comes as no surprise that this structure named as Whampoa Boat, and is one of the popular tourist attractions in Hong Kong. 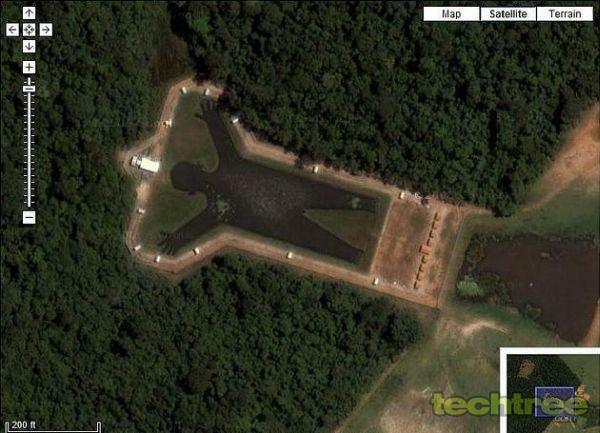 This unique 140-metre long, man-made lake is based in Sao Paulo, Brazil. Needless to say, the fishing community in this region has put in some serious efforts, and funding, to make it appear like this. This wonder of the nature is located near Medicine Hat at Alberta, Canada. The locals refer it as Badlands Guardian, but it's also knows as "Indian Head" because of its native American looks. According to scientists, this structure is a result of soil erosion due to forces of wind and water. The additional earphone-like structure is courtesy of a road and an oil well. What you're seeing is a place in France, where a jet plane is parked near a parking lot. This is unusual, even for a country where people eat snails for breakfast. 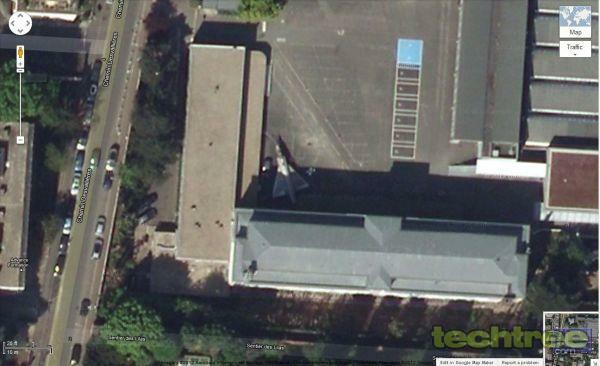 Many believe that it's a life-size replica of the Mirage 2000 parked inside the campus of the University of Paris. What would you spend on, if you were a sheikh from the Gulf with billions of dollars to splurge? Well, just import labourers from Pakistan and tell them to engrave your name on a huge chunk of land. This is exactly what Abu Dhabi's Sheikh Hamad bin Hamdan Al Nahyan did! 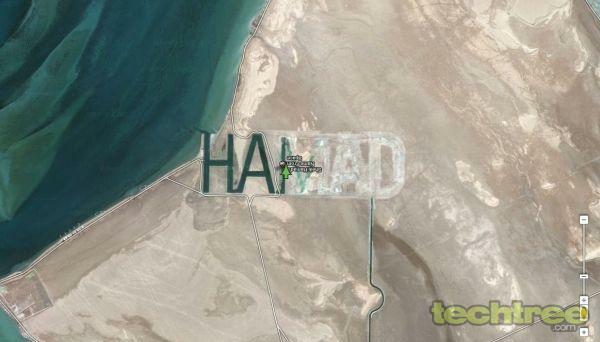 Thankfully, the sheikh decided to write only "HAMAD" and not his entire name.